Bloomberg, the global business and financial information and news leader, gives influential decision makers a critical edge by connecting them to a dynamic network of information, people and ideas. The company’s strength – delivering data, news and analytics through innovative technology, quickly and accurately – is at the core of the Bloomberg Professional service. Bloomberg’s enterprise solutions build on the company’s core strength: leveraging technology to allow customers to access, integrate, distribute and manage data and information across organizations more efficiently and effectively. For more information, visit www.bloomberg.com or request a demo. 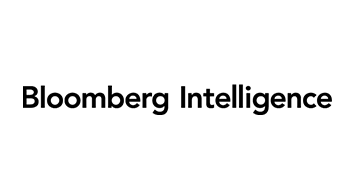 Bloomberg Intelligence (BI) is Bloomberg’s research arm and delivers an independent perspective with in-depth analysis and data sets on industries, companies and the government, credit, litigation and economic factors that can impact decision-making. BI's team of 250+ research professionals cover 135+ industries and 1,600+ companies globally, all backed by data from Bloomberg and 300+ third-party data contributors.